It’s been a month since the UAAP Season 81 started. With each team having six games thus far, the UAAP has been nothing short of entertaining, and in a very weird way. 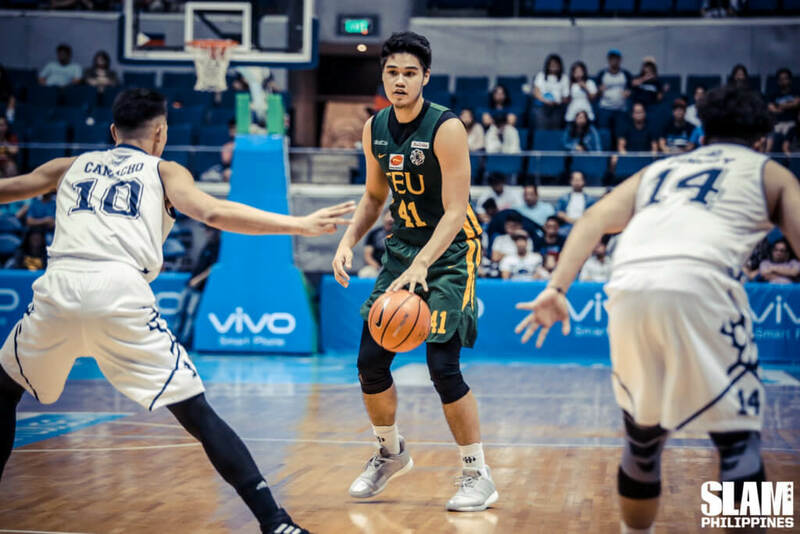 From Ateneo dropping its season opener to Alvin Pasaol munching on FEU’s defense, the first few games have been surprising. The latest shocker was that thrilling FEU-Adamson game that went into OT. The Tamaraws handed the Falcons their first loss of the season. Now, all eight UAAP teams have at least one loss on their record. Which means, there’s going to be a Final Four! With that in mind, here’s how teams are ranked so far this season based on how they performed in the (almost over) first round. As it turned out, losing to Adamson in the season opener was the best thing that happened to Ateneo. Their excellent showing in the 2018 Jones Cup must have made the Blue Eagles feel invincible in the collegiate ranks. If they held their own against national and professional players, then they could probably manhandle the UAAP as if they were the Monstars in the whole UAAP was the Looney Tunes universe. As it turned out, one game was all it took to answer that question. 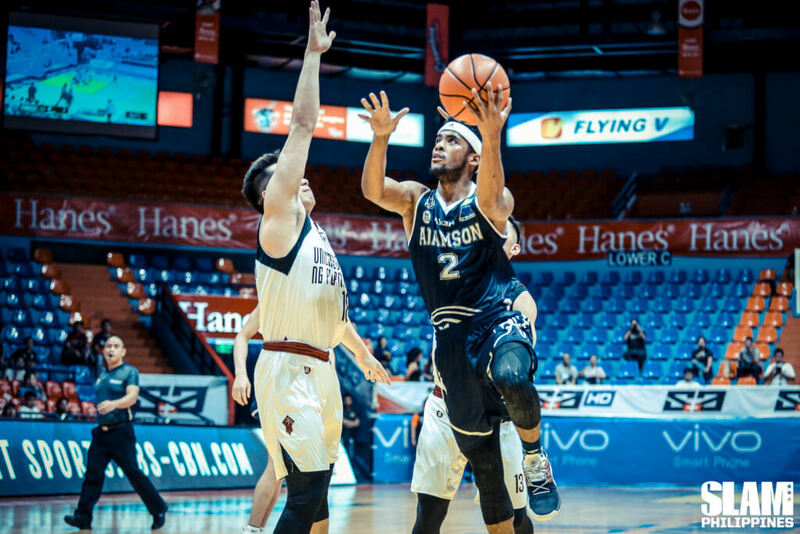 In true Tune Squad fashion, Adamson snatched away the win in the season opener against the Blue Eagles. Ateneo was shell-shocked. They weren’t so invulnerable after all. 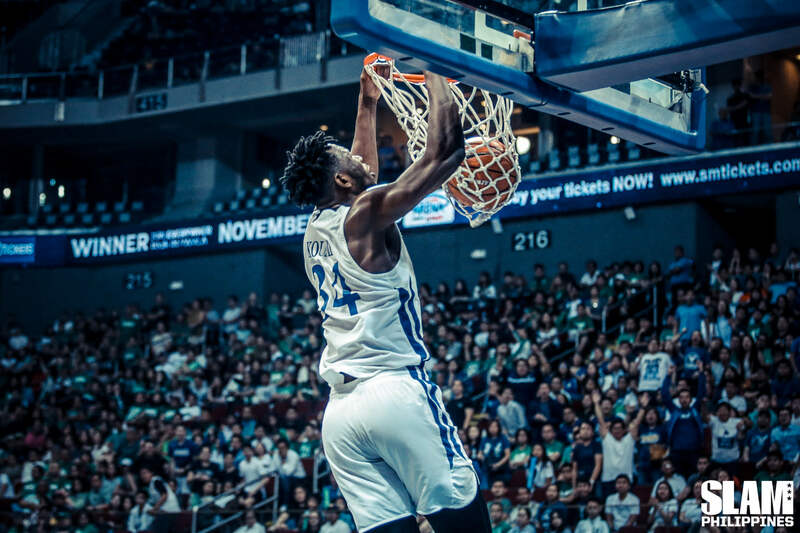 The loss was the wake-up call the Ateneo needed, and the nightmare the other teams certainly didn’t want to happen soon. No more child’s play, no more Monstars. The Blue Eagles became Freddy Kreuger that haunted opposing teams left and right. They’ve led by an average of 21 points in their ongoing five-game winning streak. The Blue Eagles aren’t the defending champs for no reason. What separates this squad from the others is their commitment to team basketball. Sure, Angelo Kouame is dropping an MVP-worthy performance (11.3 points, 12.5 rebounds, 3.8 blocks). Thirdy Ravena is providing an all-around game (10.8 points, 4.8 rebounds, 2.5 assists). Anton Asistio has caught fire from deep (17/29). There are tons of notable individual performances. But still, Ateneo is commanding the league on both ends of the floor as a team. Ateneo is leading the league in points per game (79.0). The Tab Baldwin-stamped ball movement (15.3 APG, 2nd in the league) enabled the Blue Eagles to locate open three-point shooters. As a result, the team is currently the best from beyond the arc (57 3PM, 30.6%). For all the offensive flexing Ateneo has done, Tab Baldwin’s squad is even more terrifying on defense. The Blue Eagles are only allowing 61.5 points per game in Season 81 (1st). That’s 9.5 points ahead of the second-best in the league. Everyone in that lineup is ready to harass his opponents in the halfcourt. With that, Ateneo leads the league in blocks (6.7) and opponent’s turnovers (19.3), and is second-best in steals (7.3). With or without the sweep, this team remains truly a cut above the rest. Speaking of Tune Squad, Adamson has made a living this season by winning in the final stretch. With their games going down the wire, it might be safe to say that the Falcons are the most exciting to watch this season. Every game is like a movie, with a climax waiting to happen at the end, like Sean Manganti’s game winner against UP. But that same excitement is the very reason why Adamson isn’t first in the power rankings. Yes, they are the top team in the standings right now. Yes, they are the only team that defeated Ateneo. But their rise to the top isn’t filled with dominant performances to convince spectators that they can dethrone the kings of UAAP. There are still tons of bright spots for Adamson to be proud of this season. Individually, Jerrick Ahanmisi and Sean Manganti are having a big breakout year on offense. Ahanmisi is currently the third best scorer in the UAAP with 17.6 per game. On the other hand, Manganti is averaging 13.8 points per outing, good for ninth best in the league. As a team, the Falcons have done well in converting other team’s trash into gold. So far, Adamson is pushing the pace in a relatively slow year for the UAAP (league-best 79.3). Similar to Ateneo, Adamson has been harassing opponents, although they employ more full court defensive schemes. They are the second best team in forcing turnovers (19.2), and the best in stealing possessions (7.8) They have managed to score an average of 16.7 points off turnovers per game (1st in the league). However, playing the chasedown game is too much of a risk for Adamson to take. The recent loss to FEU has shown that Adamson can’t continue to play catch-up and expect to win the game. It’s not enough that they can finish strong, they should also crush the competition right out of the gates. They should learn how to dig a hole for the other team early on, not for themselves to climb out on. But hey, they won five out of six games. They defeated the reigning champs. That’s still a great start towards claiming the championship. To be honest, FEU might be the UAAP version of a drunk tito on a chill Saturday afternoon. Sometimes, he says all the right things about the deepest of topics. Sometimes, he peak gibberish and doesn’t make sense at all. The Tamaraws looked like a Final Four team against the better squads like UP, La Salle and Adamson, as they should be. They showed up against the teams in the middle to upper echelon, which makes losing against the bottom two teams UST and UE awfully peculiar and nonsensical. The Tamaraws have been playing efficiently on offense. As FEU played the slowest pace in the league (5.1), the team had the fewest fouls (15.0) and turnovers (13.7) incurred per game. They are also second in the UAAP in field goal shooting (41.9). But if they are playing so well, then what’s going wrong for them? It seems like wherever Arvin Tolentino’s game goes, the whole FEU squad follows. Although Coach Olsen can rely on his bench for scoring (league-best 37.5 bench points per game), much of his offense is affected by how Tolentino moves and performs on offense. He is, after all, his best option on offense. It’s not just the scoring, it’s letting the offense run and flow through Tolentino. In both losses against UE and UST, Arvin took 8 shots each game, which was way less than what he took against La Salle, Adamson and NU—all wins. If that’s not to consider Tolentino as the centerpiece for offense, then just take a look at what he had done in the game against Adamson: 19 points and 18 minutes. That’s close to one point every one minute. The Tamaraws haven’t also been consistent with how they play, especially on defense. Although they are the fourth best team in points made (76.2), they also have a miniscule +0.7 average point differential. That’s the lowest among all five teams who posted a positive net difference in throughout six games. The points they allow are very erratic. One day they’ll limit UP to 73 points, then allow UE to reach 90 points on the next. They really are the drunk tito of the UAAP. Only the basketball gods know when FEU will be sober again. Maybe the drunk tito can still chill for a little longer since he’s still sitting comfortably at the upper half of the league. It’s easy to notice how UP’s offense has drastically improved from last year. Notoriously infamous for isolation-heavy offense, the Fighting Maroons are now reliant on ball movement to generate open shots. This quick turnaround has paid dividends, as the team now leads the league in assists per game (17.8). Four players from UP have at least three assists per game, all included in the top six for that category. Coach Bo has also given emphasis on scoring close to the basket. The Fighting Maroons currently lead the league in two-point attempts (324) and percentage (47.5), while having the least number of three-pointers (121, tied with NU). The scheme seems directed towards maximizing the mid and close range shots for Coach Bo Perasol’s guards and wings. Juan Gomez de Liaño has been a revelation with his 19-6-4 statline. Paul Desiderio, who was the main man last year, now generates shots within the flow as opposed to creating for himself. Even Javi Gomez de Liaño and Jun Manzo are getting plenty of good looks. But perhaps, it is Bright Akhuetie who’s benefiting in Perasol’s choice to focus up close. Akhuetie, arguably UP’s best foreign student-athlete throughout its history, is anchoring the Fighting Maroons in the paint. And he’s not doing so by attempting to forcefully dunk and swat the ball every single time. He plays within the system and does what is asked of him. Akhuetie’s impact shows all over the stat sheet. He currently leads the league in rebounds per game (16.5), and is within the top 10 in both points (15.3, 6th) and assists (3.5, 7th). 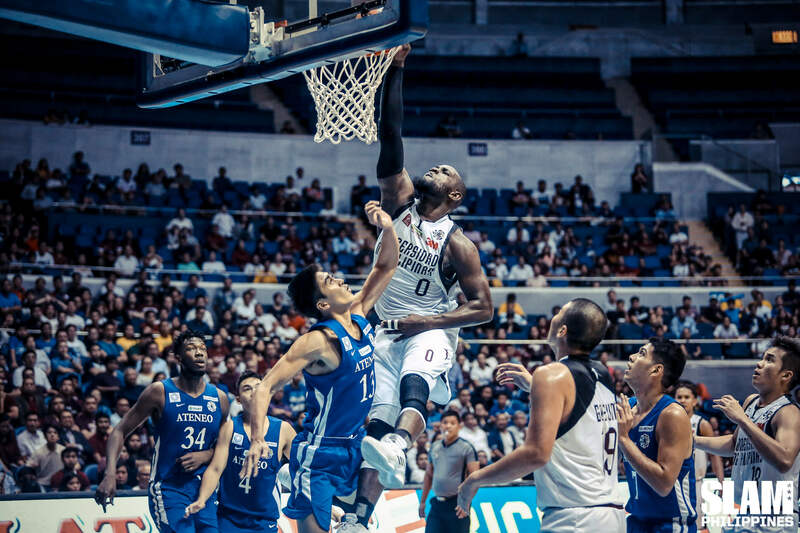 Akhuetie’s presence has opened more opportunities for the Fighting Maroons in the paint (league-best 43.3). An even .500 is not actually bad at all for #nowheretogobutUP, but it’s not exactly good either. The challenge now for UP is to try to improve the current standing to avoid falling out of the Final Four. One area to improve on is involving other players on offense outside of the five mentioned. The Fighting Maroons have the worst bench production this year (19.5). This team shouldn’t revolve just around Akhuetie, Desiderio, Manzo and the Gomez de Liaño brothers. They have to spread the offense wider across the roster. If they fail to do so, then they will have a hard time finding other guys to score if the main guys get checked. Losing Taane Samuel in his debut game was really hard for DLSU. 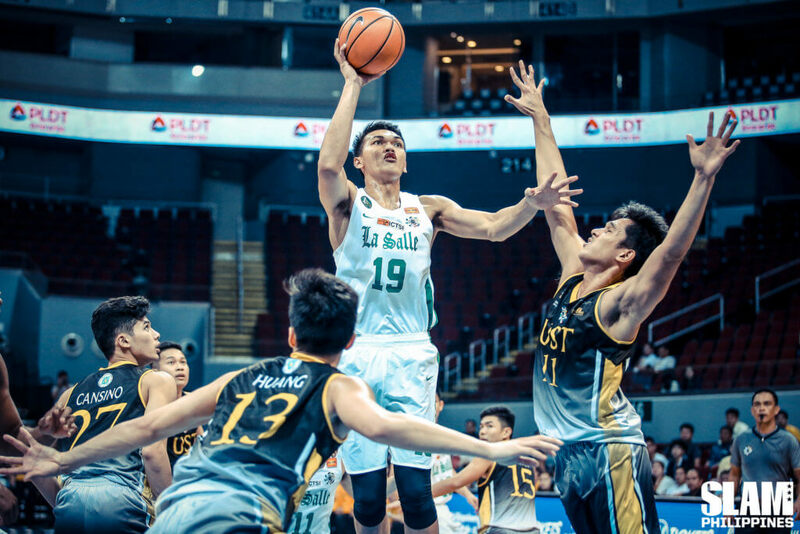 With their main big man gone, La Salle relied on the likes of Justine Baltazar and Leonard Santillan to fill the void in the middle. So far, the two have done an excellent job covering the paint. They have a combined average of 24.1 points, 19.1 rebounds and 3.2 blocks per outing. Even without Samuel, La Salle is leading the league in rebounds per game (50.3). However, much of the woes for La Salle stems from wasted possessions. The team has the worst record in turnovers (17.7) and turnover points allowed (14.0). Every Green Archer seems to be losing the ball at some point in the game, as 10 players from the lineup average at least 1.2 per game. The Green Archers are also not particularly effective in shooting the basketball. They have the second-worst field goal percentage so far this season (37.5). Shooting doesn’t come great on both the inside the arc (43%, 7th) and beyond it (25.9%, 6th). At this point, they might need Taane Samuel back to boost their inside scoring. But while Samuel’s still recovering, all La Salle can do is to salvage as many wins as possible until their big man hopefully comes back this season. That could be the best possible way to position themselves for a late run towards the Final Four. It wasn’t a long time ago when UST’s future looked bleak and hopeless. Now with Aldin Ayo as the Growling Tigers’ head coach, it’s shining bright as ever. Make no mistake, this year won’t probably be a magical turnaround, but the start of a painful, probably long rebuild of UST back to glory. This is a young team, and it shows on the stats. Coach Ayo’s system seems to rely on its unpredictability. With a young team who’s expected to make mistakes often, Mayhem might have backfired several times. The Growling Tigers ranks second-worst in points (79.7) and turnover points (13.8) allowed, as well as turnovers (16.5) per game. They are also the worst team in terms of fastbreak points allowed (13.3). It’s all part of their growing pains as a young team. Still, this squad is showing a lot of promise, thanks to CJ Cansino. Even as a rookie, the former UAAP Juniors MVP is putting up numbers worthy of the Rookie of the Year citation: 14.0 points, 9.3 rebounds and 2.2 assists. He seems to fit right in to the Mayhem. There’s no doubt that this year’s UST is showing flashes of greatness, but I guess they have to settle with those and other small victories for a while. For España, they might have no other option but to be patient this year, and trust that Ayo will bring the crown back to them in the long run. When talking about UE, one might fall into the idea that this team is all about Alvin Pasaol. That’s understandable. I mean, the guy averages 24.3 points per game out of UE’s 70.7. The Red Warriors have the best scorer in the league, yet they generate the third lowest scoring output. That doesn’t mean UE is letting Pasaol do isolation plays while the other four gets out of his way. The shots are generated through ball movement, looking for the best available. The Red Warriors are currently third in assists per game (14.2). UE is trying to execute the right plays on offense. And when Pasaol is in the zone, he will turn all opposing defenders into his on-court buffet. The problem is when he is defended well. Outside of Manalang and Varilla, the Red Warriors don’t have the kind of talent that can support Pasaol on offense, especially in the paint. Including Pasaol, only four players from UE score more than five points per game. The lack of talent is also showing on other departments of the game. As of late, UE is dead last in rebounding (40.3) and points allowed per game (82.2). But with Pasaol in the lineup, UE will always be a dangerous opponent to face. Just ask FEU about it. Another team on the rebuild is NU. Coach Jamike Jarin has been experimenting on doing away with a natural point guard and supersizing his five on the floor. 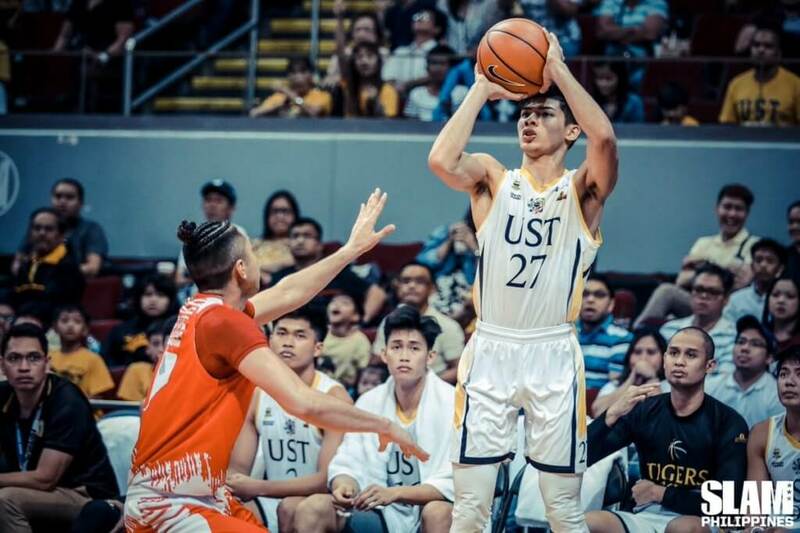 Although that scheme had its fair share of success in the opening game against UST, NU has found little success in the win-loss column, as they lost five straight games. So far, they are the only team this season which failed to crack the 70-point average per game (68.5). Just like La Salle, NU has been missing a lot of shots this season. Staying away from three-pointers is understandable given they only convert 24.8% (7th) from that area. The problem is, their shooting from within the two-point range is not desirable either (43.1%, 6th). The good thing that has come out of this rebuild is the rise of the Demolition Brothers. Dave and Shaun Ildefonso have been nothing short of spectacular this season, and they have shown their brands of brilliance in different ways. Dave Ildefonso is practically holding the keys already for the Bulldogs in his rookie year, and has done wonders with it. He is currently averaging 14.0 points per game, which makes him the leading scorer for NU. Incidentally, he also leads all rookies in points together with CJ Cansino. If these two will continue to go at it throughout Season 81, then the ROY award will be highly contested this year. 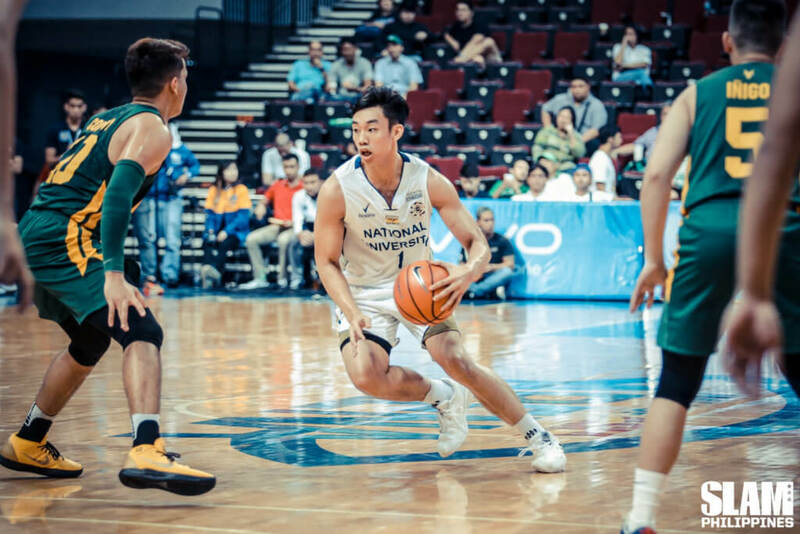 Although not as flashy as his younger brother, Shaun Ildefonso has made his own mark in NU. His breakout year isn’t generating much noise, but he has been doing all the little things pretty well for the Bulldogs this season. 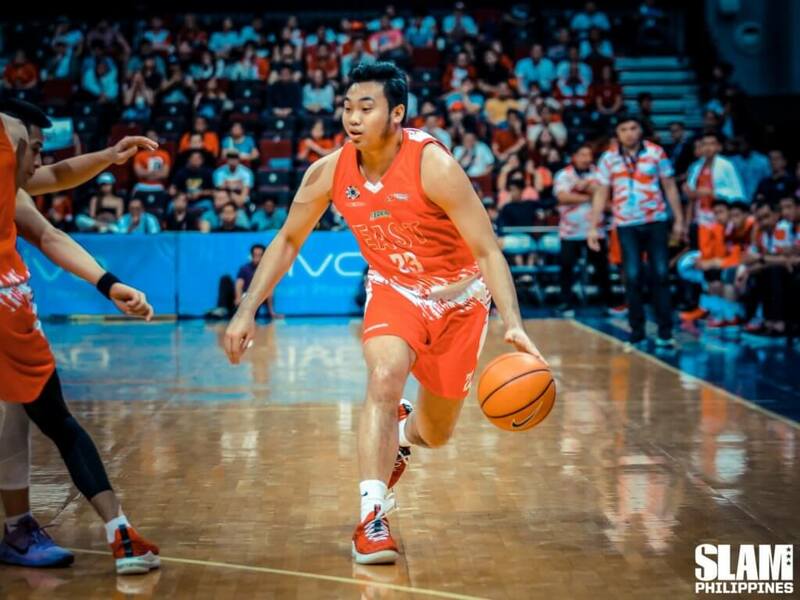 Despite being undersized at the 4, the older Ildefonso leads all Bulldogs in rebounding (7.0), while putting up 7.0 points and 1.2 assists per game. It sure is exciting to see how the Ildefonso family will turn winning at NU as a family business. But with how things are looking, the Bulldogs might not have a shot at the Final Four this year. For now, it’s all about learning and rebuilding for the young squad.